We are a lighting and furniture design production firm. our Commercial & Residential Lighting fixtures are made of the finest materials and is individually handcrafted by our artisans. From brightly colored glass reflecting in your place, to the intricate web of soft dancing patterns on your ceiling created by the filigree of iron work on an ornate lantern. Our selection of lamps was becoming too large to be displayed easily in one list. We have divided our lanterns into sections, to help you find the right ones for your place. In addition we feature an extensive collection of home decorating ideas, together with tips and advice, from wiring a Moroccan lantern to painting your living room, and we also deliver worldwide, and will happily quote for international sales. We hope you will enjoy the quality and choices of the products we have selected for your store or client. 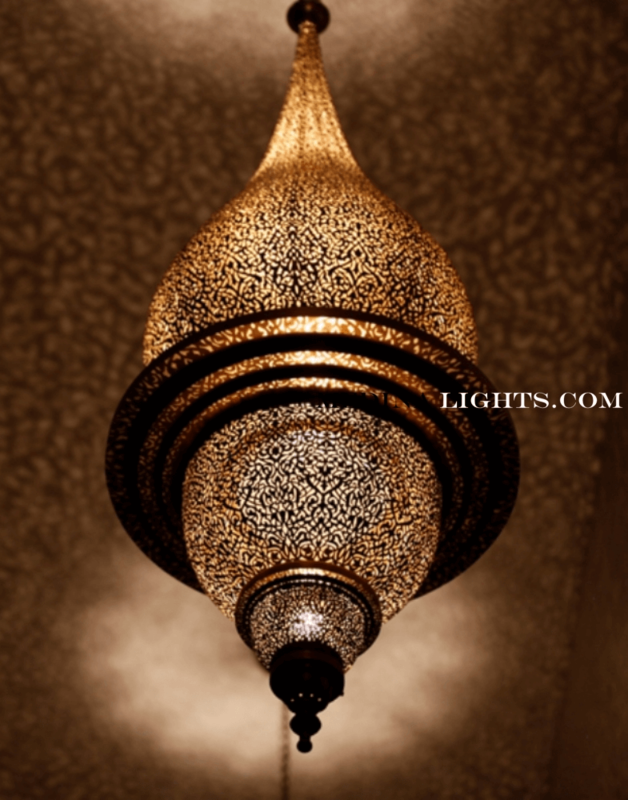 With its vivid colors, Moorish design, elaborated geometric forms, exotic designs, and unique raw materials; Moroccan Lighting is the most recognized symbol of Moroccan decor. This truly luxurious work of refined craftsmanship will leave you and your guests in a state of admiration. Copyright © 2017 Medina Lights. All rights reserved.